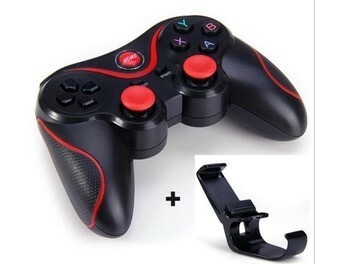 This T3+ Wireless Bluetooth 3.0 Gamepad is a wireless Bluetooth controller designed for cross-platform use on Android smartphones, also on TV box and samrt TV. This new breed of gaming controller brings together a compact and lightweight design with the industry's best cross-platform capability. if the controller doesn't work in S7 then firmware upgrade is need to be done in the Mobile. Jail Breaking is required for IOS system compatibility.